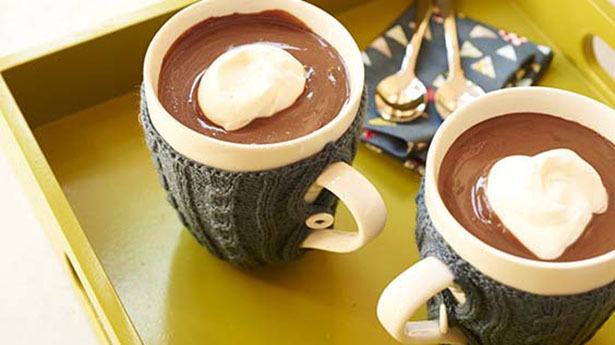 This classic hot chocolate is so thick and creamy you might want to serve it for dessert. Give it a try and you're sure to agree it's one of the best hot cocoa recipes out there. Pour chocolate milk and cocoa powder into a saucepan and stir well. Bring to a simmer over medium heat and stir in sugar. Reduce heat to low and add chocolate chunks. Cook over low heat 3 to 5 minutes or until chocolate melts, stirring occasionally. Stir in vanilla. Pour into individual mugs and top with marshmallows or whipped cream, if desired.